The deceased donation process begins with a decision. The vast majority of transplants come from organs or parts of organs that are donated at the time of the donors death. Because there is a shortage of available organs and an ever-lengthening waiting list, most people have to wait years for a transplant. For an individual to become a donor, blood and oxygen must flow through the organ until the time it is recovered. This requires that the potential donor die under circumstances in which an irreparable neurological injury has occurred  typically massive brain trauma such as a stroke, heart attack, or car accident. 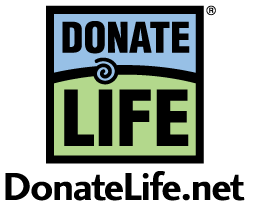 Anyone can be a donor, regardless of their age, race, or medical history, and all major religions in the United States support organ donations. Whole body donation helps medical researchers and doctors to research and identify better ways to treat a comprehensive range of illnesses and conditions. Whole body donors contribute to advances in medical and physician training; development of surgical procedures; treatment breakthroughs in areas such as gynecology, colon and liver illness, diabetes, and HIV; improved understanding of how diseases progress; development of life-changing medical devices; cancer protocols; treating spinal injuries; and enhanced drug delivery mechanisms. Below are organizations that the Living Bank refers individuals with additional questions about whole body donations. This is not an exhaustive list of whole body donation programs. 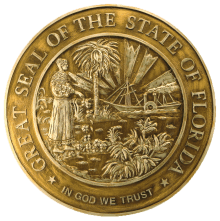 Anatomical Board of the State of Florida U.S. The Anatomical Board of the State of Florida is a nonprofit state organization responsible for receiving, preparing (embalming), storing and distributing donations of human cadavers used in medical education programs throughout the state. Understanding human anatomy through the use of cadavers is the core to these educational programs. To locate a whole body program in your area, please visit the University of Florida States Anatomical Board’s list of U.S. Programs.